I am honoured to win this award for the 3rd consecutive year!!! And it wouldn’t be possible without my ex-music manager, Gilbert Ong, who signed me and pulled the strings all the way to… James Kang of Warner Music Singapore. And since 2007 and over 100 original tracks later, here I am! Thanks to family, friends and supporters! I am overwhelmed by the well-wishes that are still coming in. Truly appreciate! This year, I enjoyed the awards evening a lot more because I got to catch up with a lot of people and made a lot more new friends. I am particularly surprised to see August Lum at the same table, and he is receiving 2 awards, just like me in 2011. 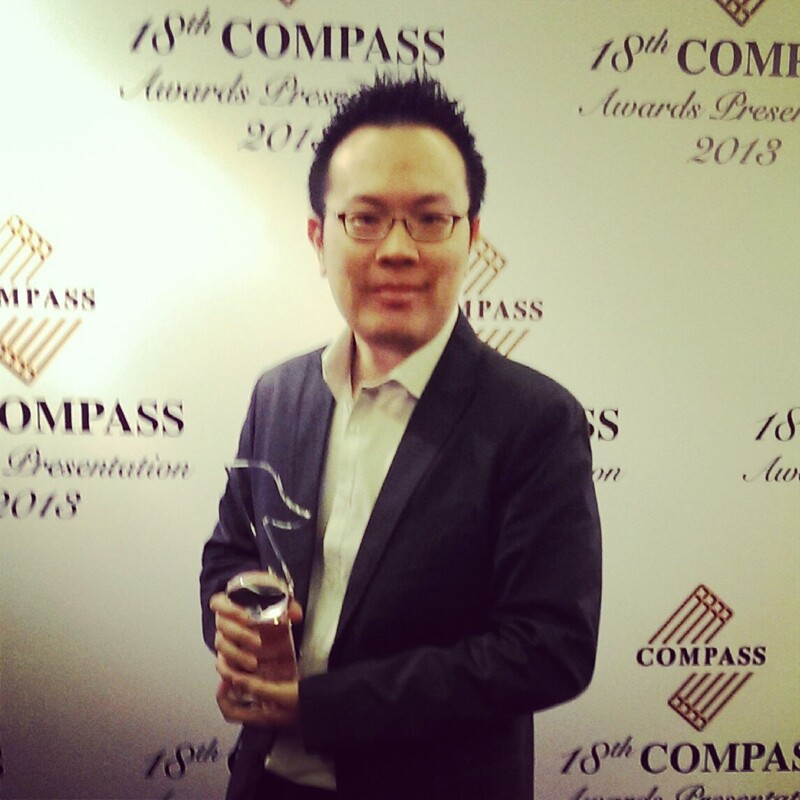 He received Top Soundtrack and Young Composer of the Year. Awesome! He deserves it! Said hi to Bevlyn Khoo, Tat Tong, Ken Lyen, Desmond Moey, Hawk Liu, Stella Kon, Lee Chee Tian, Derrick Tham. 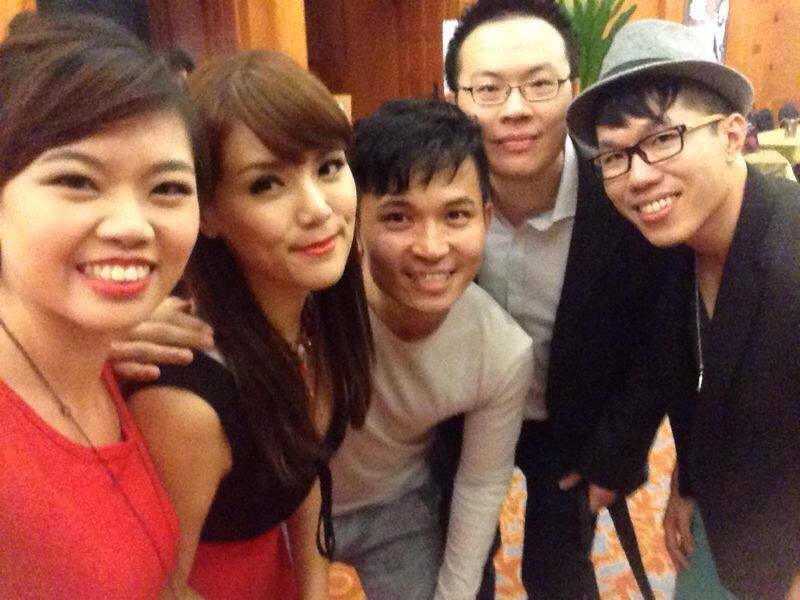 Made new friends Dan, Natalie Hiong, Simon Ng, Roman Tarassov, Shaun Jarrod Tan, Peng Chi Sheng, Mint Leong, Silver Ang. 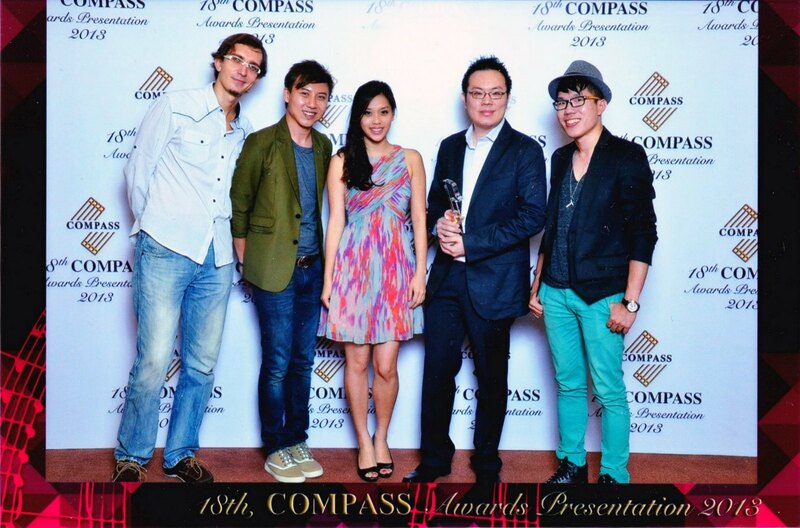 From left: Roman, Shaun, Natalie, me, Tat Tong. I think many people are still puzzled and curious about my music and wanted to know how they sound like. So I did a quick compilation of my works I have officially published online over the past years and made it available on my Facebook BandPage. Once again, a very thank you all for your support. And I hope you continue to listen to my music. Piano Spa 6 and Piano Spa Serenity are still available for sale at Popular bookstores. Piano Spa 2 and Piano Spa 3 are available for downloads on iTunes.